2012 marked the 150th year of brewing for Chimay. 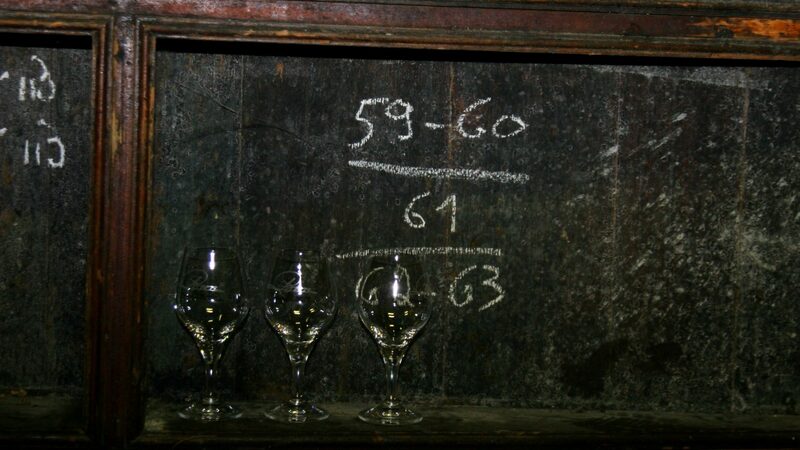 Founded in 1850 by monks from Westvleteren, the decision to brew as part of their livelihood was a momentous decision. Chimay is now the largest of the Trappist breweries exporting beer throughout the world. This allows them to employ a lot of people in the underemployed south of Belgium. It also lets them fund their many charities and works. With 150 years of brewing under their belt, the monks decided a special one time release to celebrate the milestone was in order. Spéciale Cent Cinquante, literally “Special 150,” was the result. It’s the highest alcohol beer they’ve made to date. It’s a strong blonde ale. You could call it a pale Quad or a Belgian Strong Golden. This was an extremely limited release and not a lot of it made it to the US, and none of it made it to Oregon. In fact, they didn’t even have any at the brewery when I visited in the fall of 2012. Fortunately for me, Kevin at Belgian Beer Geek found and shipped a bottle to me for which I’m very grateful. I decided this beer would be a great addition to my 2 year blog anniversary celebrations as it was bottled in 2012. Appearance: Light haze, gold, off white head, great retention. Aroma: Banana, coriander, apricots, mango, floral notes. Very Spicy. Taste: Fruity, cracker, floral, orange blossoms, Spicy. Overall Impression: This is an impressively spicy beer. The spice from the yeast is almost biting with a long finish. For a beer of this strength, it’s fairly balanced with only a touch of sweetness. While the hop balance is present, the spiciness of the yeast does far more to balance the malt. With a hugely full body, there’s only a touch of sweetness. If you see a bottle of this rare one of a kind beer, grab it because you’ll never have another chance to try it. Availability: Limited, one time release. Probably nearly gone from the world. Special thanks to Kevin of Belgian Beer Geek. Lucky guy. Sounds quite interesting. Great article, I’m glad I was in good with the importer here in Austin, Texas. I was able to aquire around 8 bottles total of the 150th Anniversary Chimay. I only have 4 bottles left. It is def some of the best Ale I have ever had. Good luck finding it, it’s all but gone.